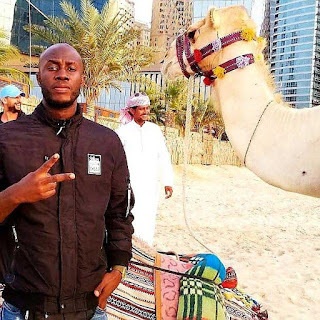 Dubai based Ghanaian musician, CEOMusic has expressed his undying love for gorgeous Ghanaian actress, Yvonne Nelson. According to the rising musician, he has been dreaming about Yvonne Nelson for years and it’s about time he lets it out. His proposal comes at a time when Yvonne Nelson has boldly stated she needs a man in her life and even slammed Ghanaians men for not coming forward when she made that announcement. Well, CEOMusic, fast-rising musician who is based in the Dubai claims he is the right man to fill those shoes. He claims he saw Yvonne’s post about needing a man but he thought Dubai was too far to try his shot. But when Yvonne Nelson told Yvonne Okoro that she meant what she said about needing a man, he realized it’s his time to shoot his shot. He even vowed to be in Ghana by March to pursue Yvonne Nelson.